Ahead of Finance Minister Arun Jaitley presenting Budget 2015-16 on Saturday, traders mounted bullish bets on hope the minister would exceed market expectations, derivative analysts said. On Friday, the benchmark indices rallied about two per cent, amid strong build-up of long positions by traders in the futures & options (F&O) market. Analysts said traders who already had long positions continued to held on to bets ahead of Saturday’s special trading session..
“Usually, people prefer to go light ahead of an event such as the Budget. But this time, most long positions are intact. It shows there are a lot of expectations,” said Sahaj Agrawal, deputy vice-president (derivatives research), Kotak Securities. “The decline on Thursday should not be seen as a negative reaction to the Railway Budget; it had more to do with the expiry session. Friday’s bounce-back indicates the markets are happy with the Railway Budget and expect the Union Budget to be on similar lines,” said Yogesh Radke, head of derivatives at Edelweiss Securities. 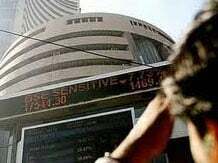 During the expiry session on Thursday, traders and investors, particularly foreign portfolio investors, were seen rolling over long positions, in anticipation of good announcements in the Union Budget, analysts said. “People have carried forward their position but with a cautious view. All of this indicated the market was hoping for the best,” said Radke. On Friday, the market sentiment was also alleviated by the release of Economic Survey 2014-15, which promised higher growth and a lower fiscal deficit. On Thursday, the open interest at the beginning of the March series stood at 24 million, slightly lower than during the beginning of the February series, signalling traders hadn’t created aggressively high positions, as was the case during the general elections last year. “Based on net open interest positions, it is quite clear there is more of an upside bias for FIIs (foreign institutional investors). We believe it will be more of a soft but positive trading session on Saturday. For the Nifty, the immediate resistance will be at 9,000 and beyond that, at 9,300,” said Dharmesh Kant, assistant vice-president (strategies and fund manager, portfolio management services), IndiaNivesh Securities. Analysts said for the Nifty, the downside could be capped at 8,600-8,700 but a decline to 8,500 could lead to very sharp falls. “But such a fall will only be triggered by a very disappointing Budget, which seems unlikely at this point,” said Radke.